I had the pleasure of interviewing Cassandra Curtis, co-founder and chief innovation officer at Once Upon a Farm. 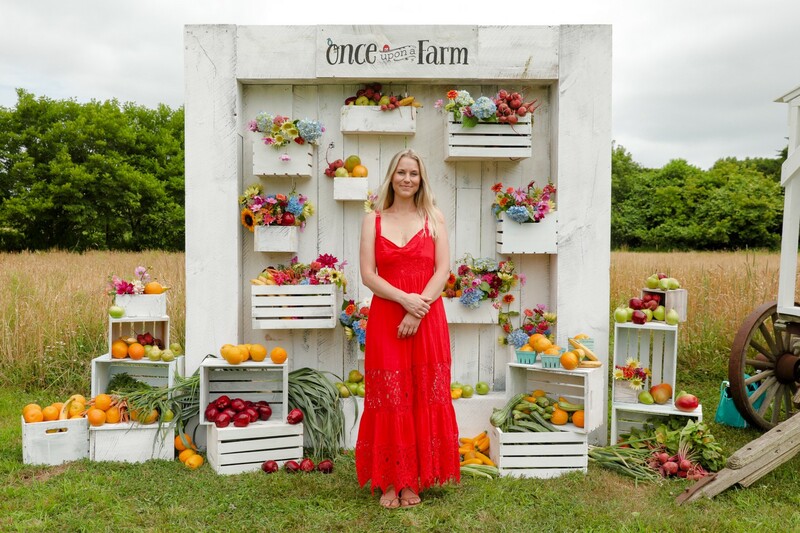 I had the pleasure of interviewing Cassandra Curtis, co-founder and chief innovation officer at Once Upon a Farm. Cassandra brings extensive knowledge of product development, childhood nutrition and first-life parenting experience to her position at Once Upon a Farm. Leading innovation and brand voice across all consumer touch points, Cassandra is helping to change the landscape of childhood nutrition by creating the highest quality, freshest recipes on the market for kids of all ages. As a nutrition fanatic foodie with an extensive background in the health and wellness spheres and entrepreneurial endeavors, my first foray into baby food was as the President of Mother’s Garden, Inc., the actual first HPP baby food to hit the shelves in the United States. Prior to that, I led other startups in the San Diego area, primarily focusing on product development and operations, such as a chocolate company called Fortina chocolate, a juice company, and a holistic wellness center. As a mother of three, I have always been committed to bringing some of the healthiest foods into my children’s lives, understanding the importance of proper nutrition from day one. However, as a working mom, I quickly realized that finding time to shop, chop, prep and create nutrient-dense and delicious food was difficult, and fresh, organic pre-made food of the caliber and quality I expected, was not available. It was this dilemma that inspired me to create the first product in the scope of a much larger portfolio: The first HPP, organic, non-GMO baby food product that children would enjoy and moms would feel confident giving to them. Our company mission is to provide as many children as possible with the best tasting, most nutritious, and highest quality food utilizing sustainable methods to drive positive social change and food justice for the benefit of parents, kids and families. We are disrupting the baby and kid food categories with fresh foods that are as close to homemade as possible. We use high-pressure-processing (HPP) to eliminate potential harmful bacteria while maintaining a higher yield of vitamins, minerals and enzymes, and preserving a fresher taste and color of the fruits and vegetables within. Additionally, as a B-corp certified company, Once Upon a Farm shows its dedication to considering the impact of the company’s actions on employees, suppliers, communities, consumers, as well as the environment as a whole. There are a lot of people to name here, that’s for sure! Jeff Church from Suja Juice was one of the earliest helpful mentors that got me started in my journey. Greg Fleishman, Mark Mortimer, Randy Worobo, Jill Castle, Silvia Mah, as well as my amazing co-founders, Ari Raz, John Foraker and Jennifer Garner have all played HUGE parts in shaping the business to what it is today and I continue to learn from all of them daily! In tandem with aging the brand up with new innovations like our Storybook Super Smoothies, we are also working to move outside the pouch. Because we know parents want to be able to spoon feed their infant children for many different reasons, we are launching new organic, cold-pressed Baby Food Cups in January 2019. There have always been very few fresh baby food options that encourage spoon feeding and we’re proud to be bringing this innovation to retail, with our HPP process. Designed for ages 5 to 9+ months, Once Upon a Farm baby food cups use the highest-quality ingredient to satisfy a baby’s nutritional needs, including nutrient dense ingredients like quinoa, coconut yogurt and avocado. Make a decision and stick with it (but also be open and flexible). Decisions are always having to be made, some more quickly than others. You do the best you can to make the best decision with the information you have. Sometimes, it’ll go according to plan, but not always. If it’s the latter, be flexible and nimble, learn from it and do something different. If you make a decision and find out new information down the line, don’t be afraid to change course if it’s needed. Don’t ignore your gut. You may have data that says one thing, but your gut says something totally different. There have been many times when I’ve listened to my gut and it turned out for the best. Sometimes I have not listened to it, and wish I did. Speak up, even if it’s against the grain. If you have an opinion or idea about something that is different from what the majority thinks or does, say it or act on it. Innovation doesn’t stem from mediocrity. I love Brene Brown’s “Power of Vulnerability” TED Talk. I have taken that concept and tried to apply it to my business. I believe businesses should connect emotionally with consumers, be authentic, transparent, and be able to admit when they are wrong. Ali Brown: I like how she is working with women and helping them grow their businesses. I imagine just being around her might make me a better person and business woman. Marianne Williamson: Who wouldn’t want to be around her? I also think it would be great to meet Sara Blakeley from Spanx. She has a really inspiring story. Cassandra Cooper named Co- Head of Original Content at Punch TV Network!! Cooper is DuVernay, Winfrey & Rhymes all rolled up in one! !